Some of the world’s most acknowledged artists participate in the exhibition It’s Urgent!, which is displayed on advertising panels throughout Denmark during the spring election for the EU Parliament and the Danish Parliament. The exhibition is arranged by Heartland Festival and Kunsthal Charlottenborg and curated by Hans Ulrich Obrist. 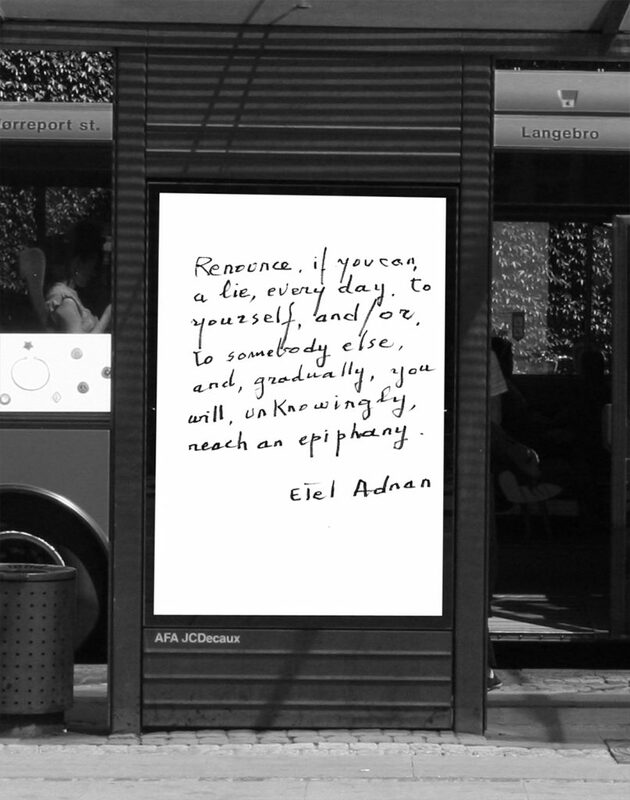 The works are exhibited on AFA JCDecaux’s advertising panels throughout Denmark in May and June, and the works are presented together during Heartland Festival from 30 May – 1 June 2019 and subsequently in the court yard of Kunsthal Charlottenborg from 18 June – 11 August 2019. The exhibition is organized by Kunsthal Charlottenborg and Heartland Festival in collaboration with AFA JCDecaux. Supported by The Danish Art Foundation and Det Obelske Familiefond. Heartland’s art programme is supported by The Beckett Fonden and Øernes Kunstfond.